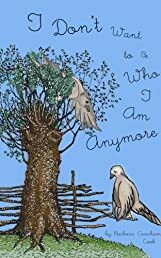 This is a children's book for ages 8+.that addresses fears and lack of self esteem. It offers ideas for emotional growth and strategies for addressing fear through the story of a little bird that is afraid of heights. With the help of a friend, and by practicing a positive technique, the bird is able to overcome his distress. The book can be read by the child alone, or as part of a discussion with an adult.